The new Range Rover Evoque will be available with hybrid engines for the first time, this year. The 2019 model will be offered with petrol and diesel powertrains featuring a 48-volt ‘mild-hybrid’ system, which takes energy typically lost during deceleration and stores it in an underfloor lithium battery. When accelerating, the stored power can be used to improve performance and allows the engine to shut off when braking or coasting at speeds below 11mph. These factors mean the Evoque can provide fuel consumption of up to 50.4mpg and CO2 emissions as low as 149g/km. A plug-in hybrid model will be introduced later in 2019, with lower CO2 emissions. It will be allied to a 200PS 1.5-litre petrol engine. 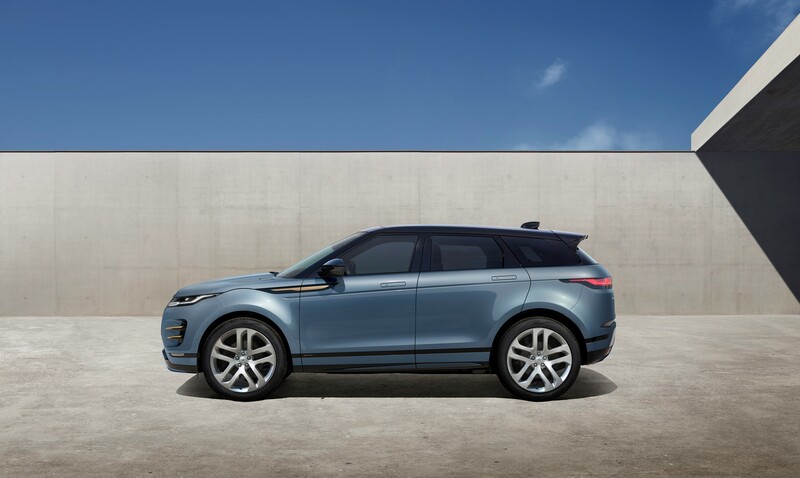 Land Rover expects that 90% of Evoque sales will be of hybrid derivatives. The system is fitted to all versions with an automatic transmission. The entry-level D150 manual doesn't come with the mild-hybrid system, but still provides the lowest CO2 emissions of 143g/km. It is also the only variant with front-wheel-drive. 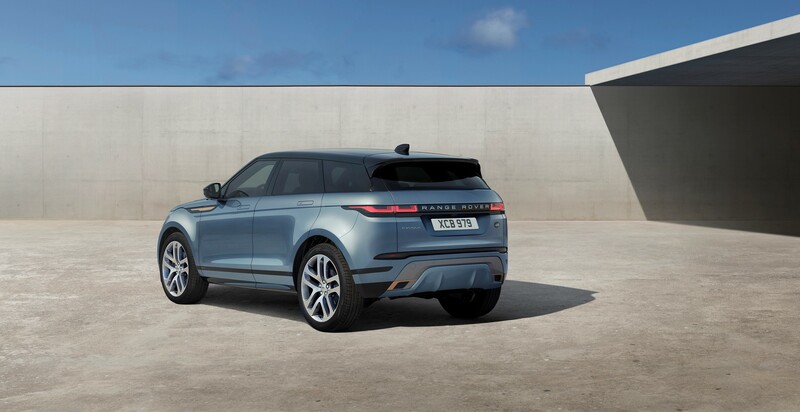 Land Rover doesn’t believe fleet customers will hold off buying the new model until the plug-in version is available. 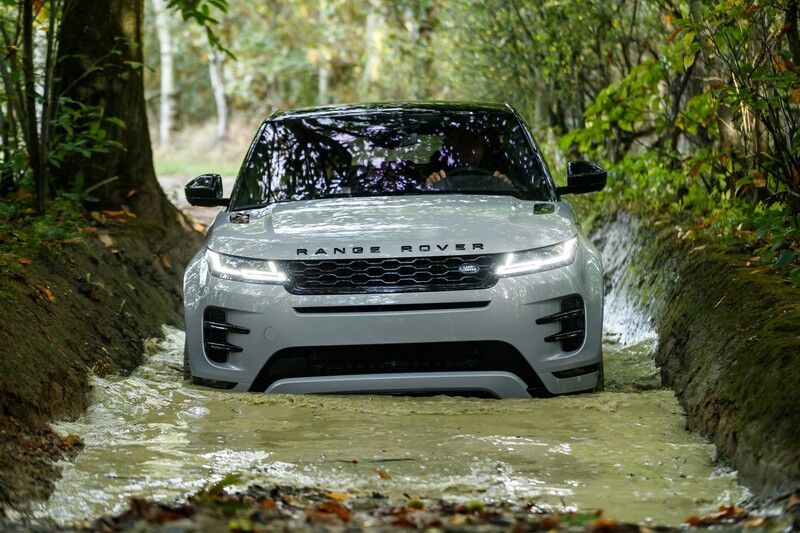 “If choice is driven by benefit-in-kind and CO2 emissions fleets will make their choices as and when operating cycles dictate,” said Rawdon Glover, Jaguar Land Rover UK managing director. The range includes six Ingenium four-cylinder powertrains – three petrol and three diesel. Diesel models are offered in 150PS, 180PS and 240PS outputs, while the petrol versions range from 200-300PS. The most powerful is the P300, with emissions of 186g/km and 34.4mpg. 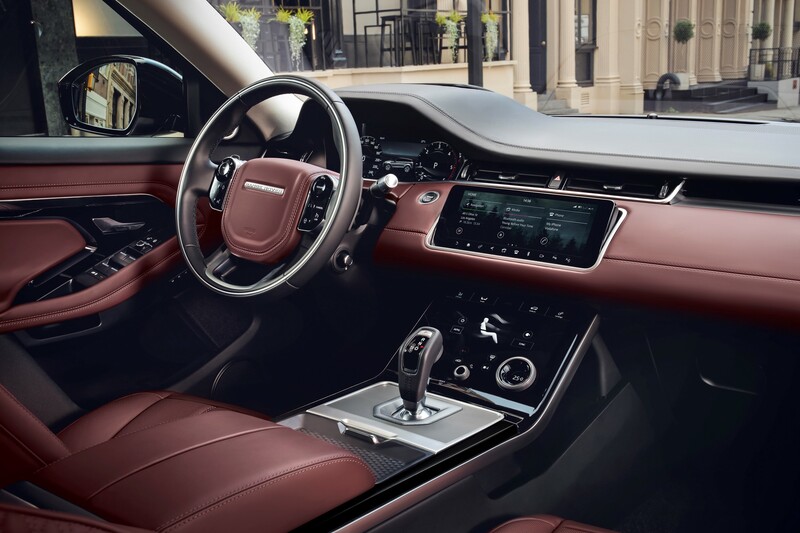 The new Evoque also sees a number of technical innovations. 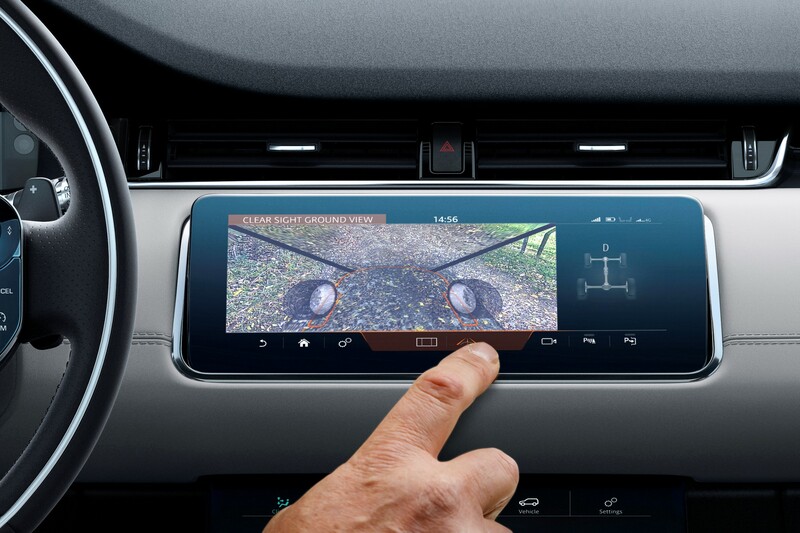 Land Rover claims a world first with its ‘ground view’ function. It projects a camera image of a 180-degree view under the front of the vehicle and is designed to be used in narrow parking spaces, high kerbs or over rough terrain. 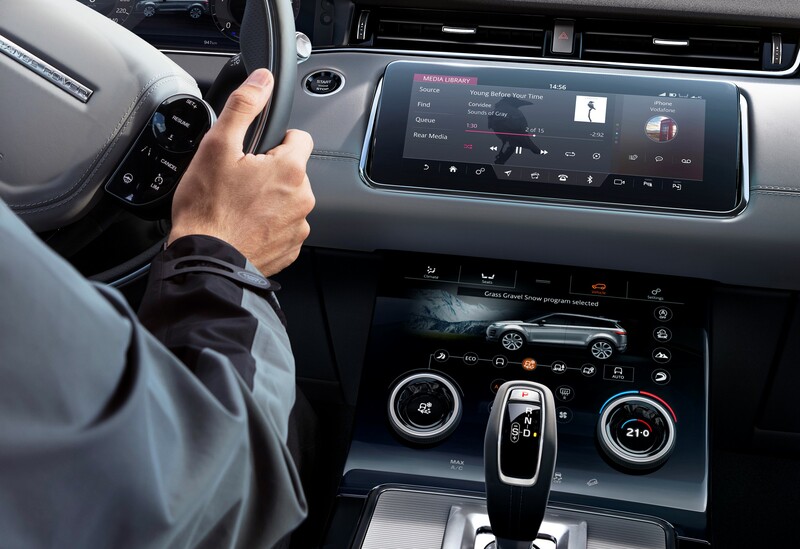 In a “segment first”, the Evoque will be available with the ClearSight rear-view mirror, transforming it into an HD video screen, providing a 50-degree field of vision. 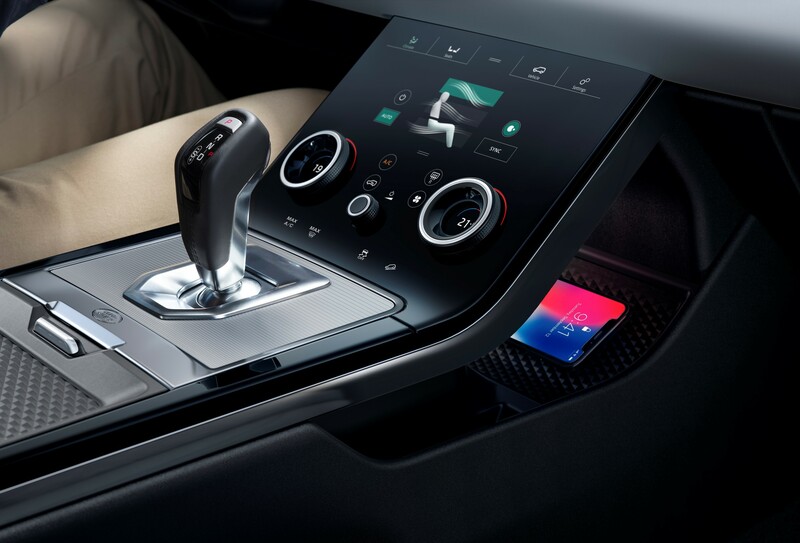 And for comfort, Evoque is the first Land Rover with ‘smart settings’, using “artificial algorithms to learn the driver’s preferences for seat position, music and climate settings and steering wheel position”. 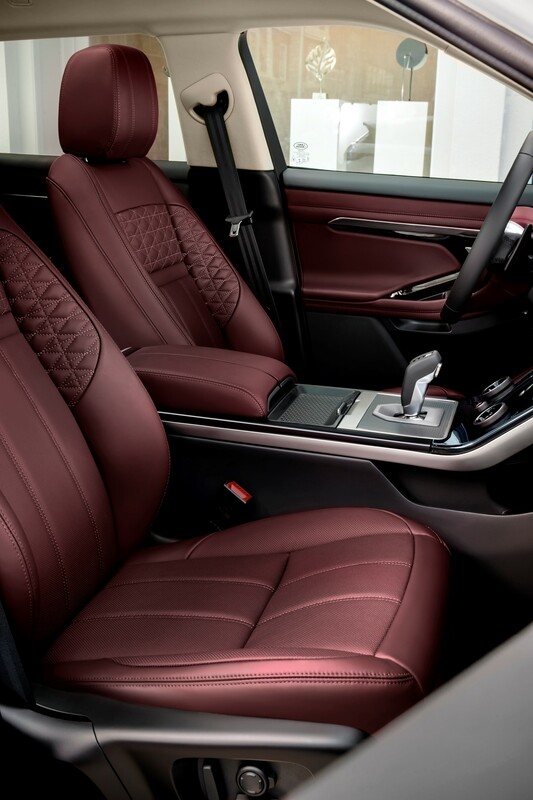 The longer wheelbase means 20mm extra rear legroom and luggage space increased 10% to 591-litres (1,383 when the second row seats are flat). 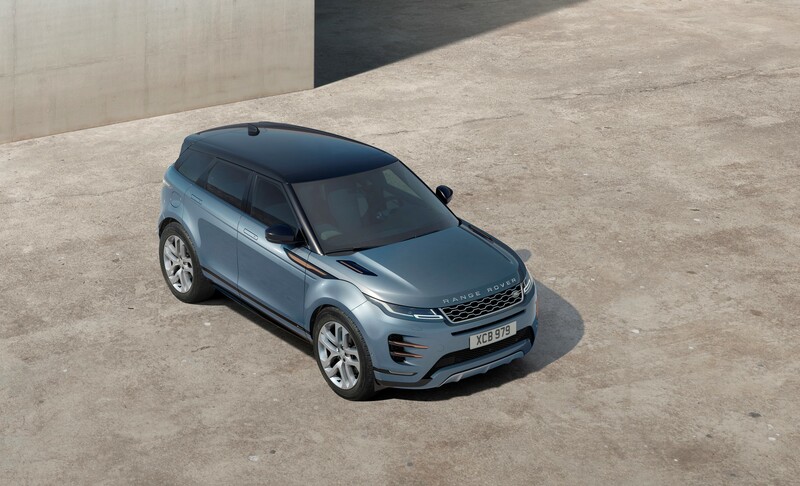 The new Evoque is available to order, priced from £31,600 to £40,350.There are five trims, from Evoque, S (an additional £3,150 on the base spec), SE (£3,500 over S), HSE (£3,000 over SE) to First Edition (£5,500).